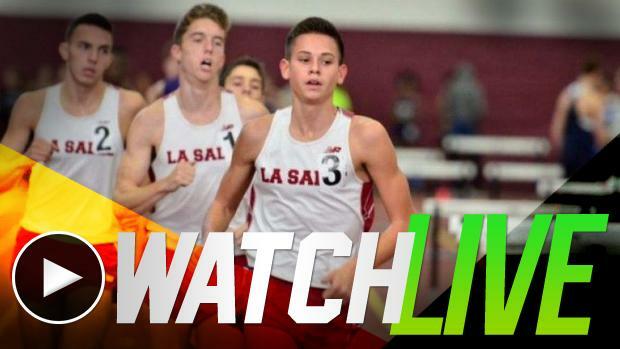 Nation's Elite Face-Off Live On MileSplit! 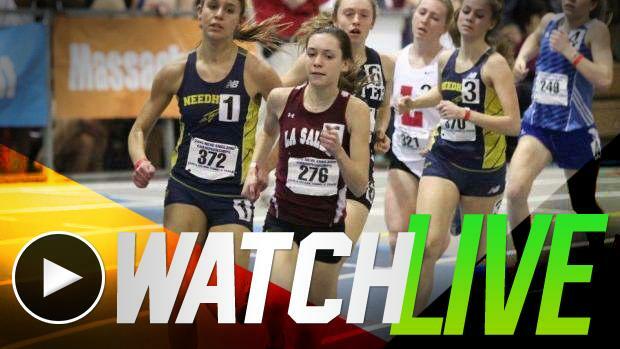 For anyone interested in watching some serious track & field during this Christmas Break, the upcoming Rhode Island Classic should offer plenty to whet the appetite. The stream begins Wednesday (12/30) at 9:30am EST! Full schedule below. 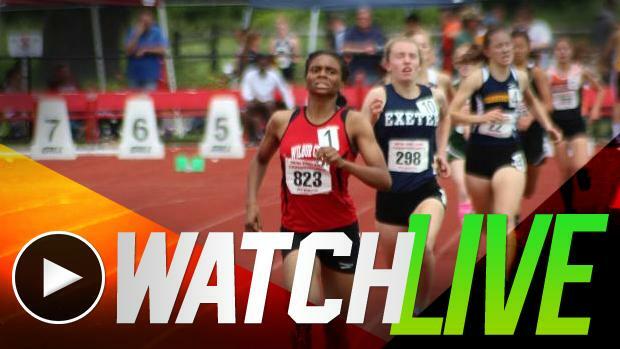 This Wednesday's meet at the Providence Career and Technical Academy field, which will be LIVE streamed by MileSplit RI, has potential for several new meet records and national-level performances. One record that could be in jeopardy is the 300-meter dash mark, set last year by Rai Benjamin of Mount Vernon, NY. On the flat, 200-meter oval at the PCTA last year, Benjamin captured gold with a record time of 34.83 seconds. Connecticut's Mark Doyley of Weaver has the speed to erase that one-year-old mark. He goes into Wednesday's race with a best of 34.90. The meet record of 4:18.32 for the boys' mile has potential to be eclipsed. La Salle Academy (RI) senior Jack Salisbury, who twice broke 4:09 last year is the top seed in the race. With its being an early-season meet, the chances of Salisbury coming close to his 4:08.76 indoor best, which he ran to place second at the New Balance Grand Prix, are slim. But with the level of competition, a time under the 2009 record of Bishop Guertin (NH) Francis Hernandez is certainly within reach. Salisbury's top challengers appear to be Jacob Johnson of Colonie, N.Y., Kevin Hazelwood of Brewster (NY) and senior teammate Matt Bouthillette. 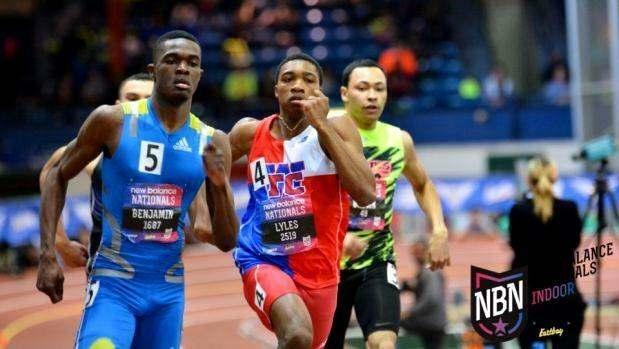 Johnson has done 4:11 and was sixth for 800m at the New Balance Nationals where he was clocked in 1:52. Hazelwood has a 4:17 best and Bouthillette, the defending New England champion, also has a 4:17 to his credit. The field will also include freshman phenom Sam Toolin of North Kingstown (RI). The odds on favorite for the girls' 800 title is Wilbur Cross's Rivers. Her all-time best of 2:05, which she did to win the New England outdoor crown. Rivers was also third in the event at the New Balance Nationals Outdoor Championship. Eliza Rego of La Salle looks like the runner to beat in the girls' mile. The race is without defending champion Danae Rivers of Wilbur Cross (CT), who opted to compete in the 800m this year. Rego owns the fastest time in the field with her PB of 4:52.83, a time she ran to win last year's New England indoor crown. The Ram senior also has 2:12 800m speed and has done 2:54 for 1,000m. Rego's toughest challengers appear to be classmate Karina Taveres, who's done 4:38 for 1,500m and 5:02 for the mile, South Windsor (CT) Kaitlin Nakas (2:19, 800m; 5:06, mile), St. Dominic (NJ) Cazmille Bertholon (5:09, 1,600m) and Sachem East (NY) Nalerie Romero (4:50.12, 1,500m). There will be plenty of big showdowns in all of the relays. 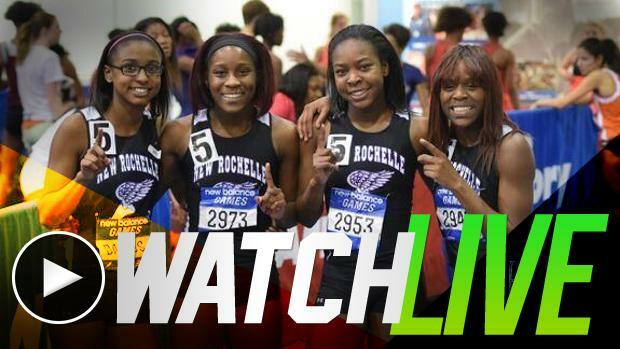 Powerhouse squads like New Rochelle will face-off in the final big meet of 2015! 9 a.m. - WT relay; Long jump; DMR. 11 - Triple jump; SP relay. 2 - LJ; WT relay. 4:10 - Triple jump; SP relay.